Last February, The Spark reported on the Occupy Nigeria protests that were taking place. Nigeria is not the only African country where massive demonstrations are erupting, indeed some commentators, such as Al Jazzera are starting to talk of an ‘African Spring’ similar to the ‘Arab Spring’ of 2011. As a continent subjected to colonial exploitation for a century, and neo-colonial exploitation ever since, Africa has many reasons to rebel. Protests have flared up in Senegal, centered on Independence Square in the capital, Dakar but large enough to extend much further, with demonstrators seizing control of a three block stretch of road during a clash with police. 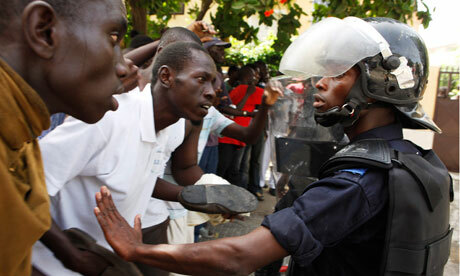 The target of these protests is president Abdoulaye Wade, who at 86 years old is running for his third term in office. While an election was held in February, a new election has already been called. 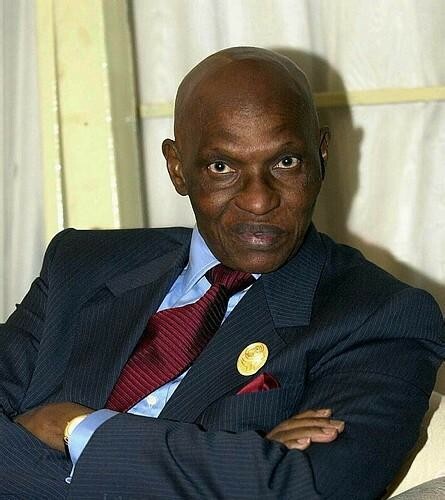 Many Senegalese believe that Abdoulaye is preparing his son to take power when he dies, setting up a “neo-monarchy” similar to that accomplished by Assad in Syria and attempted by Ben Ali in Tunisia, Murabak in Egypt and Qaddafi in Libya. Of those dictators of course, only Assad remains, due to the extremely violent repression against protesters in Syria. The others were toppled by popular uprisings, providing inspiration to countries further south. In the decades following independence, many African countries became dictatorships. By the 1980s there was a shift toward more democratic, multi-party systems, but those gains have been deteriorating in recent years, as such Senegal’s election is being watched closely. “Across Africa as a whole, it sends a signal,” Abdul Tejan-Cole, Dakar-based regional director for Africa of the Open Society Foundation told Reuters. Opposition parties, civil society organisations and others have joined together in the June 23 Movement (M23), taking its name from protests last year which were successful in preventing constitutional amendments that would have allowed Wade to further entrench his rule. The movement is made up of groups with different and sometimes opposing interests. It remains to be seen whether the alliance will continue after the election or succumb to internal differences, but for the time being it is making important gains. When asked by a journalist what would happen in the country if Abdoulaye won another term, Nando da Silva, a 19 year old student, mouthed the sound of an explosion: “Boom!”. A significant source of slaves for the greater part of a millennium, first by Arab traders and later by European ones (predominantly British and French). In the colonial era Senegal passed between Britain and France, but for most of that period was a French colony, only gaining full independence in 1960. Several attempts to integrate with other West African countries were made in the latter half of the 20th century, but none of these were successful. Governed by a socialist party for the 40 year period between independence and the election of Wade in 2000. Wade has made a dozen constitutional amendments in that time to retain power.